An Illustrated History of Native Americans through a gallery of pictures and paintings. 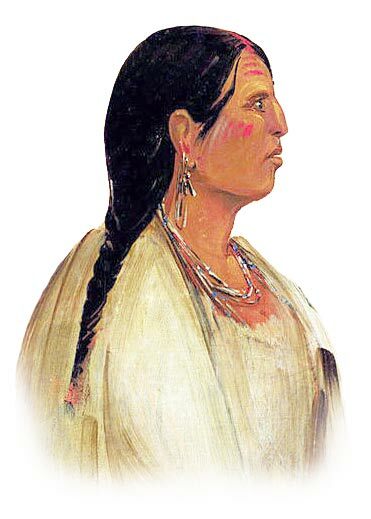 Look at the picture of the Choctaw Indian woman for a great insight into the clothing and ornaments worn by this tribe of Native American Indians. What materials have been used to make the clothes? What ornaments or decorations are being worn? What items or accessories is she holding? What image does the picture convey? The title we have given the picture reflects the name of the tribe, for ease of identification. Discover the vast selection of pictures of Native Americans which includes the picture of the Choctaw Indian woman. The pictures show the clothing, ornaments and decorations of various Native Indian tribes, can be used as a really useful educational resource for kids and children of all ages. Our series of videos enable fast access to the images, pics, paintings and pictures together with information and many facts. We hope that the pictures, paintings, pics and images will assist in your studies or homework and that you enjoy watching the videos featuring many Pictures of the Native American Women - a great educational resource for kids.